Are You Ever Confused How Long to Cook Your Food? 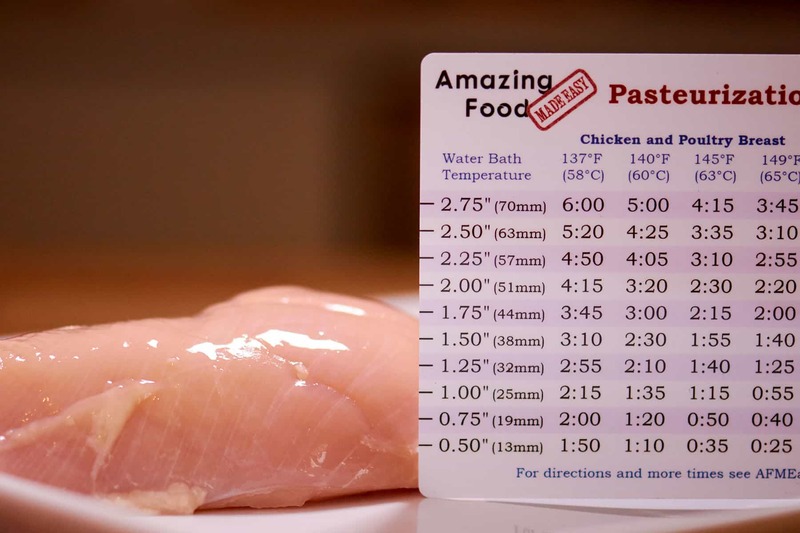 The Sous Vide Timing Ruler has been designed to help with just that! 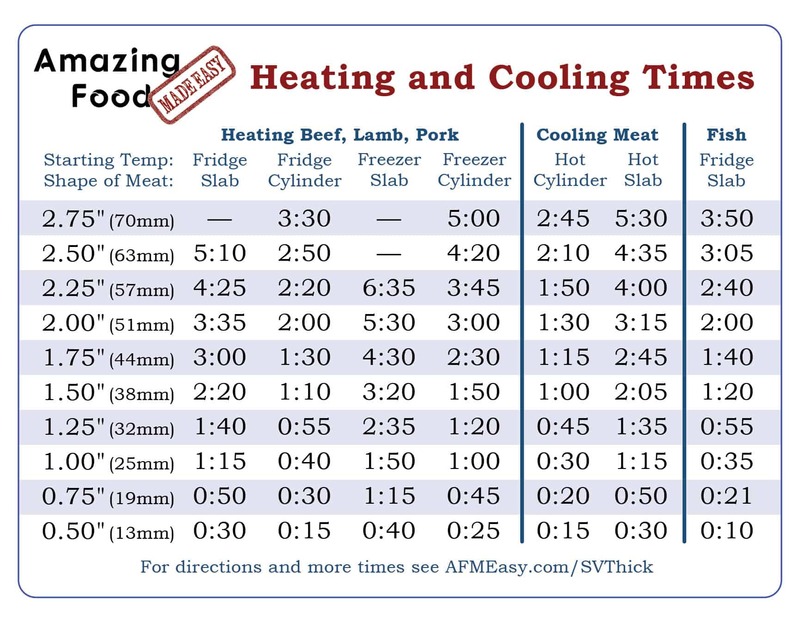 I've combined several of the respectable sous vide heating and cooling charts into one super convenient reference that will instantly let you know how long your food needs to be cooked! 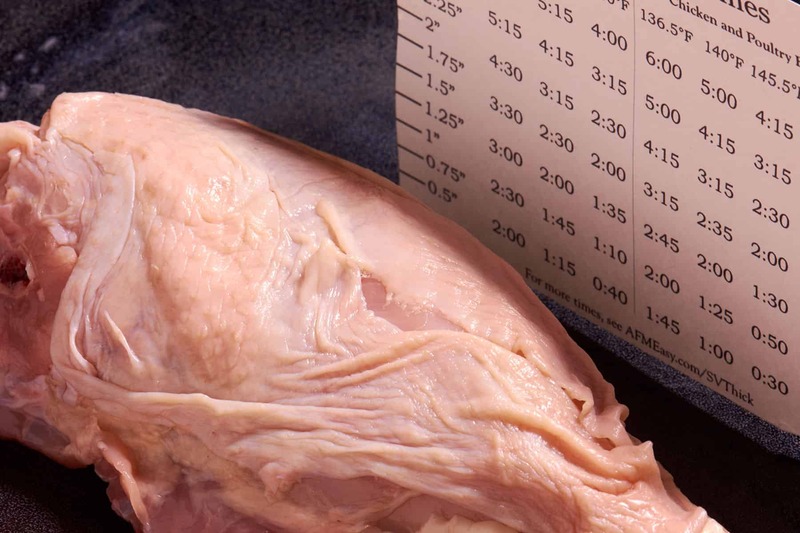 Simply hold the Sous Vide Timing Ruler up next to the type of food you are going to prepare and find the time indicated under the column you want. You are then ready to make it with confidence knowing the meat will be properly cooked. 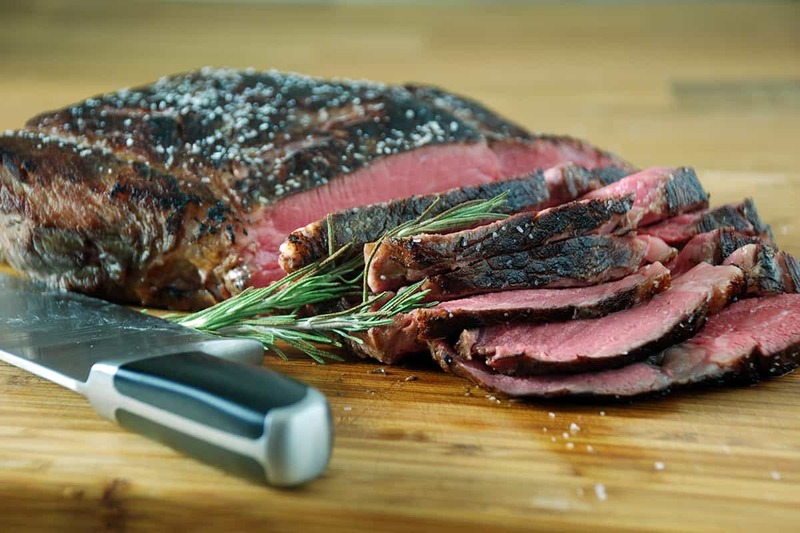 The ruler works with almost all types of tender meat including flat and cylindrical beef, lamb and other red meat • pork and boar • chicken, turkey, and other poultry • fatty fish. 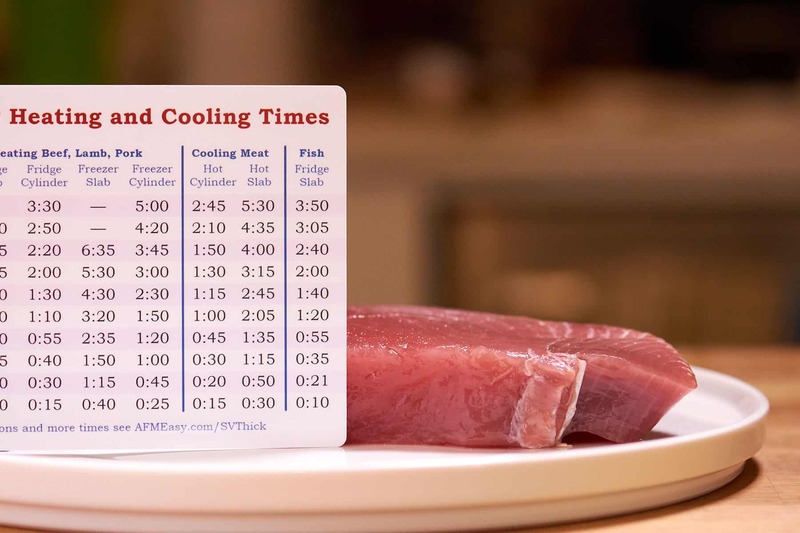 The Timing Ruler covers many different sous vide times including those for pasteurizing meat, heating it through to the middle, and even cooling meat in an ice bath. It also has times for frozen beef and red meat so you can go straight from the freezer to the sous vide machine with confidence. 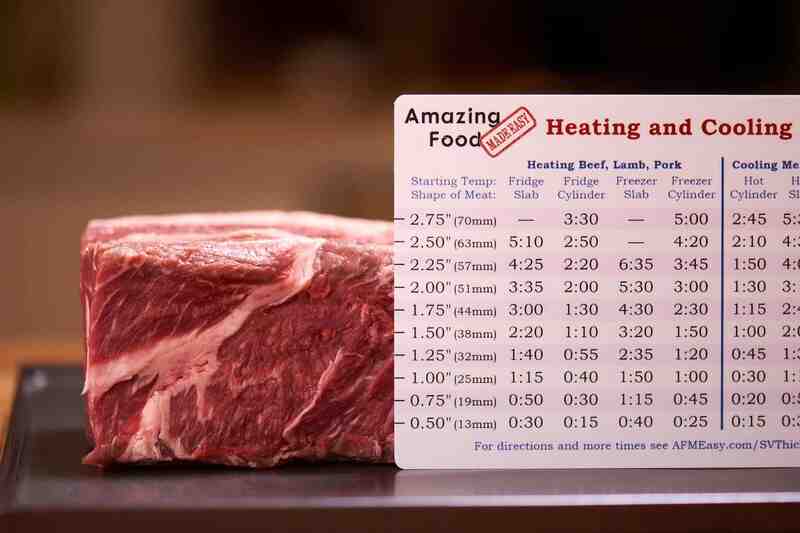 At only $9.95 the Sous Vide Timing Ruler is less expensive than a single ribeye steak. Stop the guesswork and make sure your food is always heated through or pasteurized without wasting time cooking it for longer than needed. 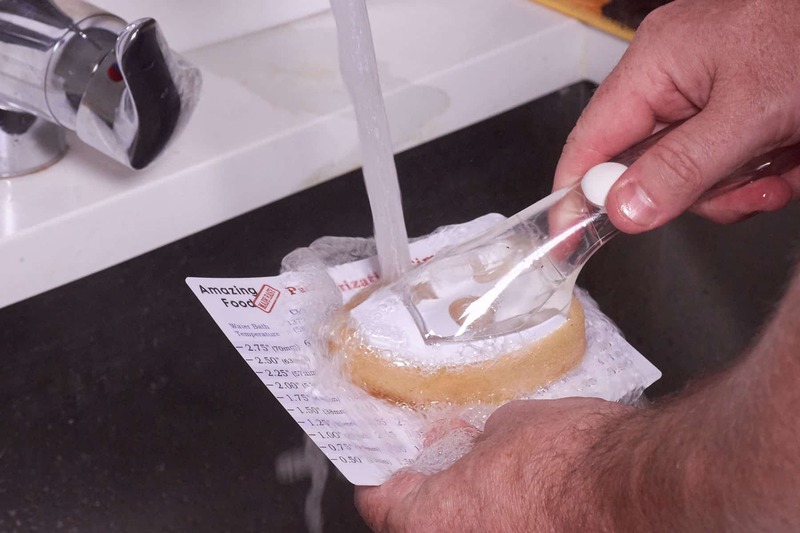 Start cooking with confidence, and pick up a Sous Vide Timing Ruler today! Cleanup is important when handling raw meat and the Sous Vide Ruler makes it quick and easy. It is made of durable PVC Plastic which means it is 100% waterproof so you can clean it with a damp cloth or a soapy dish scrubber. And while we don't recommend it, it can even survive a time or two through most dishwashers. With so many temperatures included it is easy to extrapolate the times for any temperature you want. 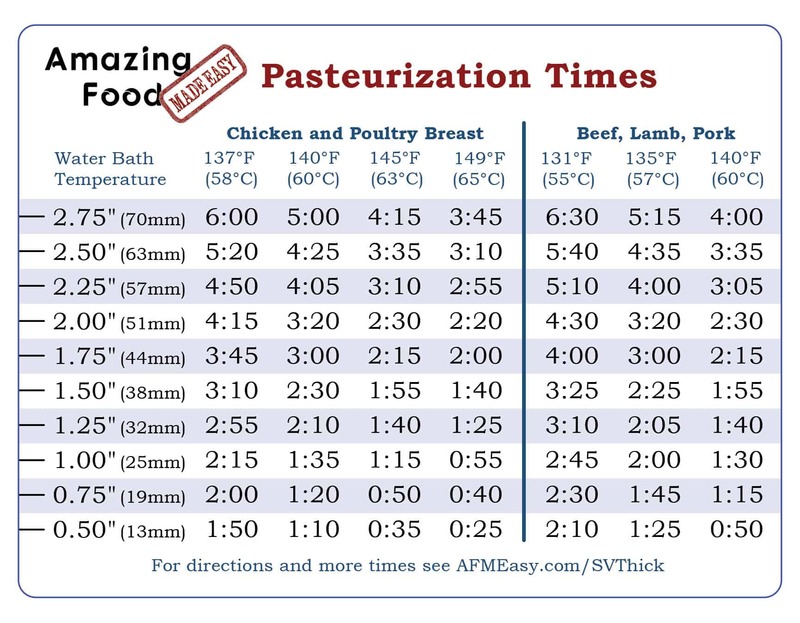 You can check out the instructions page for more detailed information on the use of the Sous Vide Timing Ruler. Start cooking with confidence, and pick up a Sous Vide Timing Ruler today! !